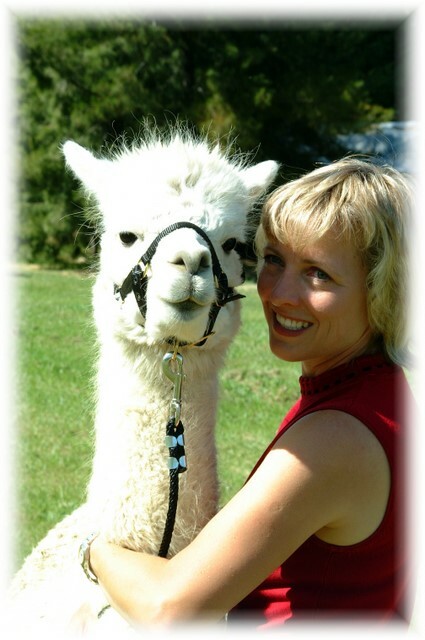 It's been a great journey and Kelley and I have decided to focus on the Products side our Alpaca Business (AlpacaDirect.com) after moving to our dream locale in Northern Idaho to a home that is in town and not on a ranch. This is a big life change that we are now 'Empty Nesters" and looking forward to a new chapter in our life. What started out as a 4-H project for our daughter has turned into an incredible journey where we've met wonderful people, established relationships with artisans in Peru and learned a lot about life and each other from our beloved alpacas. We have a great business opportunity if you are looking to start a business and hit the ground running. We've spent the last 10 years carefully selecting topline herdsires to breed with our foundation herd resulting in a quality, genetically diverse base from which you can quickly launch your business. Details are located on our Alpaca Sales page. Fox news just interviewed an Architect and his wife on how investing in Alpacas can be a fun and profitable venture. Great News! We've teamed up with Rick and Pam Brady of Oak Valley Alpacas to market our the portion of our herd remaining in California. We carefully selected the best genetics for Idaho and California and have a nice selection available for you with the full time attention to sales Rick and Pam have been able to give while we coordinate our move to Idaho. Feel free to contact Rick at Oak Valley Alpacas to see how we can help you get started with alpacas or build out your herd! Did you see the national advertisement on American Express featuring an Alpaca Ranch and the lawyer with his Alpaca Socks? 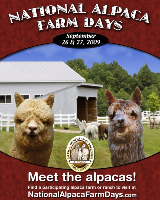 aOur ranch will be open Sat/Sun this weekend from 10am to 4pm.Come visit us, see our alpacas and have a fun weekend! We'll be offering some spinning demonstrations, crafts for kids, and a chance to see and interact with some of our 23 alpacas at our ranch: 4323 Briones Valley Road, Brentwood, CA 94513.